The AM Ninjas Facebook group is exploding with new members and I’m starting to see a lot of the same or very similar questions asked very frequently. 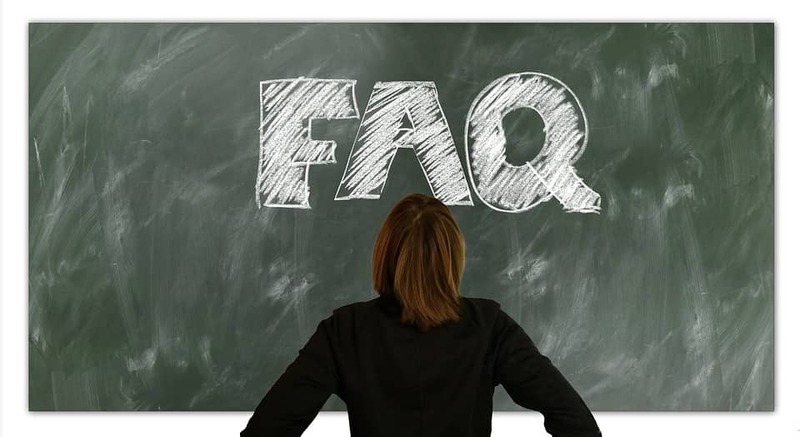 So, I thought it would be easier to create this frequently asked questions page where I can simply link to the answer instead of writing it over and over. I’m new..how do I get started? I know you’re probably really excited and want to learn everything you possibly can about affiliate marketing. One tip though: Don’t try and learn everything at once. Only take in what you can and make sure you take massive action on what you learn. I do have a free affiliate marketing crash course here – https://amninjas.com/affiliate-marketing-crash-course/ and I highly recommend downloading my affiliate marketing cheat sheet. This will bring you up to speed and I show you exactly how I create niche websites that bring me passive income. So, if you learn something – try or test it out. Where can I buy a domain name and hosting? You may or may not already know this, but you need a domain name and some hosting to get your website online so others can see it. This will cost you money and the price will depend on where you register it. You can buy a domain name for as little as $9 per year, even cheaper if you use a coupon. Before you rush out and buy a domain name – some website hosting companies give you a free domain with your hosting plan. I recommend registering them both together to make the whole process easier, but that is up to you. 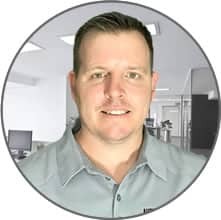 For the niche sites I will be teaching, I recommend signing up at Siteground because they are the fastest hosts I’ve found with amazing customer support. For only $4.95 per month you get a free SSL certificate, it has one click WordPress install and much more. I also find their hosting to be very fast and good for these types of niche sites. Godaddy WordPress hosting – Good for domains but their hosting is garbage. Bluehost – They’re cheap and very popular. Even WordPress.org recommend using them. Support has gone downhill. Hostgator.com – Cheap, good customer support but not as fast as SiteGround. You might be wondering “what the heck should I create a website about?”. I always recommend creating a site around something you have a passion or interest in. You don’t have to be an expert but it does help if you’re at least interested in the niche. I go over everything I look at before creating a website. Where can I sign up as an affiliate? Never pay to sign up as an affiliate – they’re free to join and you should never have to pay. They are the ones that pay you for referring new customers. I’ve noticed that this question pops up a lot in the group. I personally like simple, clean and responsive themes and you can definitely use a free theme – I use free themes a lot. This website runs on GeneratePress, which is a free theme. You can go all out and buy a premium theme, that is all up to you. If you’re after some good premium themes try themeforest.net or ThriveThemes.com << I use their Rise theme for some of my sites. What WordPress plugins should I install? WordPress has thousands of really useful plugins that you can install to improve your website. Optin NInja/Bloom/thriveleads – similar plugins for optin and landing pages. There are lots of really good plugins but for these niche websites, you honestly don’t really need all the bells and whistles. This question comes up a fair bit so I thought it would be a good idea to talk a little bit about it. I always use posts with my affiliate sites. I will have a few ‘pages’ which are my home page, contact, disclaimer, privacy and about page. Everything else I put as posts. The reason I like using posts is that when you add them as posts, WordPress organizes them into your categories which helps keep your site organized. But, it all depends on what your preference is. If you want to use pages – use pages. If you want to use posts – use posts. Backlinks are a very important factor Google uses to help rank websites in their search engines. Basically, a backlink is like a vote. The more votes your website has the more popular it is and the more chance you have of being ranked higher in the search engines. However, not all links/votes are created equal. You need to focus on quality over quantity. On-page SEO is optimizing your website so it’s optimized for search engines. There’s a number of things you can do to make sure search engines like Google and Bing can crawl your site and get a better understanding of what your pages are all about. Should I get an SSL Certificate and where can I get one? These days, Google is throwing up warning signs before a user reaches your site if you’re collecting data without an SSL. This could be collecting emails, credit cards, or any kind of form that collects a users data in some way. Do you need one? Well, in my opinion yes. For one it prevents Google showing the message saying your site isn’t secure, secondly it makes your site look more trusted and lastly they say it is a Google ranking factor. So, yes you should get one. These days you can get one from letsencrypt.org or if your hosting provider has them you can easily install from your control panel. This is why I recommend SiteGround for hosting your affiliate sites. They have free SSL and an easy to use plugin to install it.